America "Archives" Limited Edition 180 Gram Red Vinyl Now Available For Pre-order! Limited edition of 100 units, hand numbered, pressed on 180 gram red vinyl and personally signed! London -The Strictly Limited Edition Vinyl Company is releasing America “Archives” on limited edition180 gram red vinyl. This is a strict edition of 100 units, all hand numbered and personally signed by founding band members Dewey and Gerry. 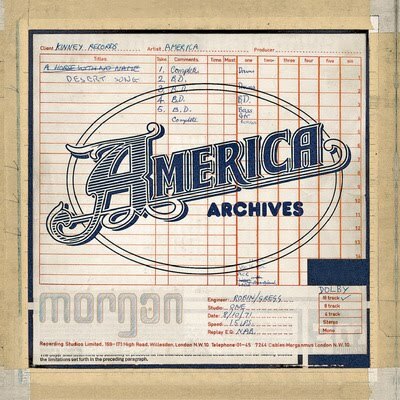 “America Archives” consists of early recordings, demos, rehearsals spanning 1970 to 1975. 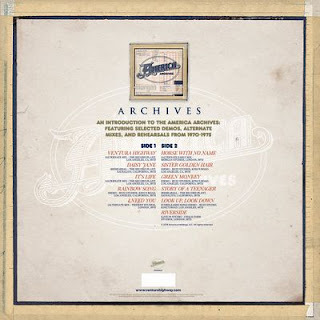 These recently unearthed tracks provide the listener with a you are there / fly on the wall experience of the working out of soon to be classic hits such as: “Horse With No Name,” “I Need You,” “Ventura Highway,” “Green Monkey,” and “Sister Golden Hair.” Also included are unreleased and alternate takes of some of the more deep cuts in the catalogue.